If you are an expositional preacher, you will inevitably have to preach through a genealogical passage. How do you preach the eternal truths found in the genealogies? Why should you preach the genealogies? How do we show the relevance of names of the long departed to the every day modern life of our congregations? Some people find their identity and sense of belonging in their family tree. Genealogies provide tangible records that show our audience that they can have a sense of identity and belonging in God’s purposes for their lives. 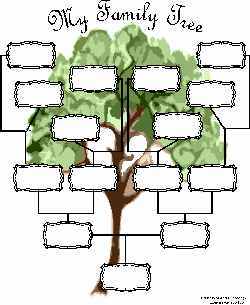 What Makes Genealogies So Important? Why does the Bible provide catalogs of names? A brief overview of the purpose of genealogies will suffice to answer the question. Genesis 17.7-8 tells us of the Abrahamic Covenant in which the land of Canaan was promised to Abraham’s descendants. Centuries later, when Israel settled in Canaan, the land was divided according to tribe and then according to family. At this point the importance of genealogies becomes evident. To the Jews of Bible times, land was not a possession; it was a covenantal trust. Jehovah gave His people the right to use the land rather than to own it. If one could trace his genealogy, he could prove his right to claim land due to his family heritage. In doing so his stewardship of covenantal blessings placed him in Jehovah’s redemptive purpose. Genealogical information provided a basis for taxation. We find the best example in the nativity account. Joseph and Mary returned to Joseph’s hometown to answer the census to establish the basis of taxation. Joseph had to know his family tree in order to be taxed properly. Genealogies established priestly and royal heritages and qualifications. After the first return from exile, Ezra 2 tells us that several men were dismissed from the priesthood because they were not Levites. In addition God gave the promise that David’s family would forever be on Israel’s throne in 2 Samuel 7. Genealogies provide general frameworks for periods of time. Genealogical records are not always strictly chronological. For example Matthew’s genealogy of Christ provides three sets of fourteen people going back as far as Abraham. A strict chronological time line would show that roughly 800-900 years are missing from Matthew’s record. We deduce that Matthew recorded only certain names to indicate succession or continuation rather than to provide a precise history. How Do You Preach the Genealogies? We are already preaching to congregations that seem to give a collective ho-hum to preaching. We must address ancient truths, bringing them into modern applications, the relevance of which already takes some degree of convincing. What goes through the hearer’s mind when we begin to read a lengthy catalog of names of people from centuries ago? Some are waiting to catch the preacher mispronouncing a name so they can tease him later. Some simply tune out, drifting off to the afternoon’s football game or the family get together in the evening or to the pressures that await them at work the next day. So and so begat so and so repeated dozens of times seems like so much droning. I do not intend to be cynical about how our congregations hear. The point is: how do you preach something that is admittedly dry in a way that actually engages your audience? Here are a few suggestions. Read every verse and every name accurately. I received a phone call several years ago asking for Mackey Jerry. How the person on the other end of the line got that from Matthew Jury is beyond me! I was a little miffed because someone got my name wrong. If you have read a genealogical record for a whole of thirty seconds, you know how challenging the pronunciation can be. Rehearse the names. After all, you would want your name to be pronounced correctly. Listen to Alexander Scorby or Max McLean to hear the proper pronunciation by a professional reader. A proper reverence for God’s Word also demands proper pronunciation, if only for the sake of the real person God saw fit to put in His eternal revelation. You may ask several individuals to read publicly. Having one or two other readers will help to break up the monotony of the text. You will naturally want to encourage the readers to rehearse too. You may even provide a phonetic copy of the text so pronunciation will be accurate (you may wish to do this for yourself). To that end you may encourage your readers to listen to audio versions of the Bible to help them with pronunciation. In the week(s) leading to the message addressing the genealogy, announce your text and encourage them to read through the text. More is caught by sight and sound than simply by sound. Your congregation will be more able to listen to the long list of difficult names if they have prepared themselves. Why Should You Preach the Genealogies? Public reading of genealogies practically embraces the doctrine of inspiration. I believe in plenary verbal inspiration. This means that each and every word of Scripture is equally inspired and authoritative. Plenary verbal inspiration includes so and so begat so and so. As I read each name in a genealogy, I express my faith in the important doctrine of inspiration in a practical way. As I read each name I teach my congregation by example to embrace the doctrine of inspiration practically. I know that I have skimmed through genealogies in my personal Bible reading. When I read out loud each and every name, I teach by example the importance of each and every word in the Bible. I teach the simple, theological fact that God is concerned about individuals. Yes, we are disconnected from the genealogies by several millennia, but the people were real people. They had families; they loved and were loved. They had real problems just like you and me. God looked upon them and saw them as an important part of His revelation about Himself. On the other hand our society is already quite impersonal. Some in our audience already struggle with the concept of an impersonal God, or they have a knowledge of impersonal truths about God. I need not reinforce an impersonal concept of God when I skim over a family tree. I also teach the wonderful truth that God keeps His promises. Each individual in the genealogical record received the promise of God’s blessings. For example the chroniclers of the historical books listed name after name. The Holy Spirit gave this list to show the Jews in exile that God had fulfilled His promises in the past and that He would continue to fulfill His promises in the future. God promised a land for His people, and they were about to return to that land. God promised that He would bless worship, and worship would soon commence in Jerusalem. God promised a king for His people. Four hundred years would pass until the King of kings was born. The genealogies showed the people in exile that the same God who worked in the lives of their ancestors was still working in their lives. The God of Abraham, Isaac, and Jacob is the same God working in the lives of each person in your audience. The God who made promises to ancient people can still fulfill His promises today. I also teach that God can give the hearer a place and a purpose in God’s redemptive plan. We could rightly conclude that the wicked individuals in Christ’s family tree do not deserve the privilege to be a part of the Messianic line. Despite these sinful people, God still brought His sinless Son into the world through them. This teaches us the wonderful truth that God’s plan is not hindered by man’s sins. God uses men’s righteousness and unrighteousness. God can use anyone in His plan as He overrides their sins. Some people will be a part of God’s eternal blessings, and others will not. When we preach genealogies, we confront the audience with a vital question: Where do you fit in God’s plan for the ages? The genealogies show that everyone can have a place in God’s redemptive purpose. The teenager depressed by broken relationships can be encouraged because God is concerned about him or her. The mother who thinks she’s stuck at home changing the diapers on a teething baby can find dignity in her motherhood because she is part of God’s grand design for His people. The man frustrated by a recent lay-off in a bad economy can find purpose in even the most mundane aspects of life because God loves individuals, some of whom He recorded in eternal posterity. Don’t be afraid to preach the genealogical records. You may not park on the lists as you might a more didactic passage of Scripture, but there are wonderful truths that impact the daily lives of your audience. God has provided genealogies as promises that individuals belong and have a purpose in His redemptive plan. What recommendations would you make for preaching the genealogies? How have you handled the public reading of genealogies? What other eternal truths do we communicate through a careful handling of genealogies?